A new set of Shuffleboard Weights will make a world of difference to your game! 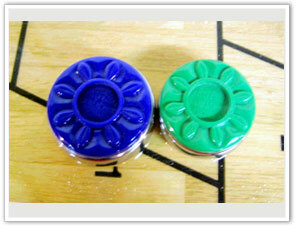 When selecting Table Shuffleboard pucks, there are two different sizes - Medium and Large. Large pucks are 2 5/16 inches in Diameter measured at the middle and 2 1/8 measured at the cap. Large pucks are used on tables 14 feet or longer. 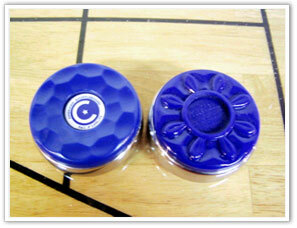 The blue puck on the left is a large shuffleboard puck. There are 5 types of Large pucks (see chart below). 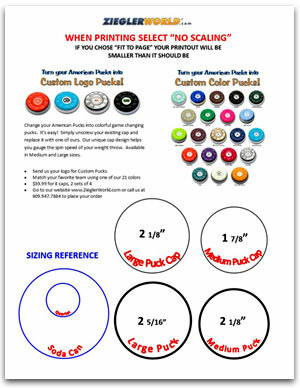 Medium pucks are 2 1/8 inches in Diameter measured at the middle and 1 7/8 measured at the cap. Medium pucks are used on tables 12 feet or shorter and on tables 14 feet or longer by expert players. The green puck on the right is a medium shuffleboard puck. 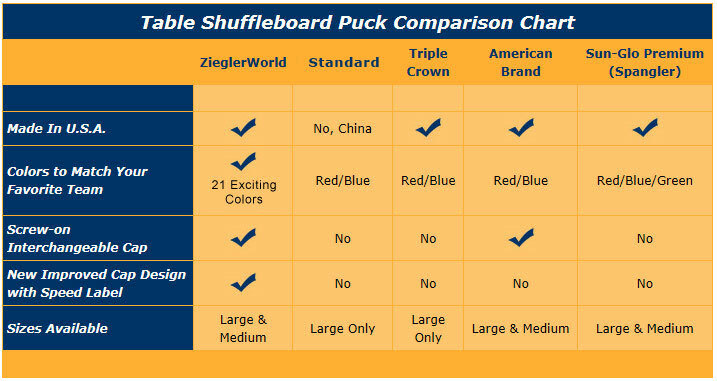 ZieglerWorld's Table Shuffleboard Puck Weights Available in 21 Colors!